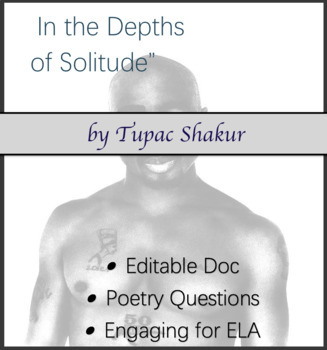 Questions over Tupac Shakur's poem "In the Depths of Solitude"
Students will respond in short answers to Tupac Shakur's poem, "In the Depths of Solitude." 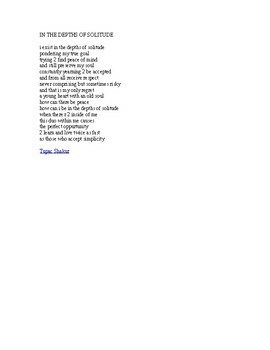 The poem is included on the second page for your reference. This worksheet can be done as an individual exercise, or you can separate students into small groups and have them answer these analysis questions together. This worksheet requires close reading and analysis of the poem.